JERUSALEM (AP) — Israel said Tuesday that it has successfully tested the country’s advanced missile defense system capable of defending against long-range ballistic missile threats. Israeli Prime Minister Benjamin Netanyahu toured an Israeli aerospace facility following the test and leveled a thinly veiled warning at Iran, just days after Israel struck Iranian military targets in neighboring Syria. “Our enemies who seek to destroy us should know that Israel’s clenched fist will reach all those who wish ill upon us and we will settle accounts with them,” Netanyahu said. The Defense Ministry said the successful test of the Arrow-3 interceptor is “a major milestone” in Israel’s ability to defend itself “against current and future threats in the region.” It comes a couple of days after Israel thwarted an Iranian missile attack. The test came amid mounting tensions between Israel and Iran along its northern border with Syria. Israel is concerned about Iran establishing military bases in neighboring Syria as the eight-year civil war winds down. On Monday, Israel claimed responsibility for a series of air raids against Iranian military targets near the Syrian capital Damascus, hours after Israel intercepted a missile launched by Iranian forces at the Israeli-controlled Golan Heights. The missile launch followed a rare Israeli daytime attack on Syria on Sunday near the Damascus airport. 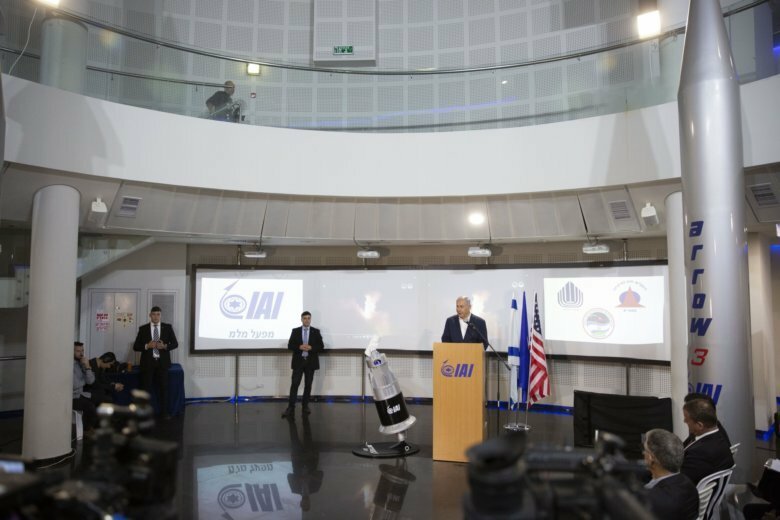 Arrow-3, which intercepts missiles outside the atmosphere, is part of the multi-layered system Israel is developing to defend against both short- and mid-range rockets fired from Gaza and Lebanon, as well as Iran’s long-range missiles. It includes Iron Dome, David’s Sling, and the Arrow-2 systems.